You know how it goes. When you need to go, you wander through dozens of stalls, peeking beneath doors for feet. Or, you push on said doors, annoying the stalls’ occupants, and risking a mortifying encounter if the door’s unlocked. The system, called “Tooshlights,” indicates via bathroom lighting when a stall is occupied and when it’s not. 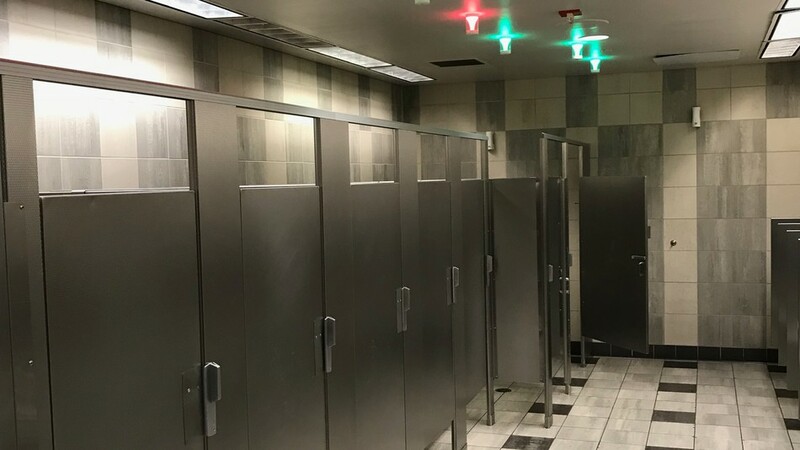 The new bathroom features a green light bulb outside each stall. When a stall’s door locks, its corresponding bulb turns red. “We’ve received email after email saying ‘Thank you,'” he added. When it comes to smart home, the bathroom is something of a frontier. Of the most popularsmart home products to date, almost none are designed specifically for the bathroom (although Kohler’s lineup is rolling out as we speak). But if there’s one thing a good smart home product can do, it’s solve a problem that nobody realized they had.